This article previously appeared on FlexJobs. Job candidates know they should present employers with flawless application material that demonstrates their best effort. But sometimes despite careful proofreading, a mistake you should have caught doesn’t come to light until after the submission leaves your hands. The question then becomes how to proceed. 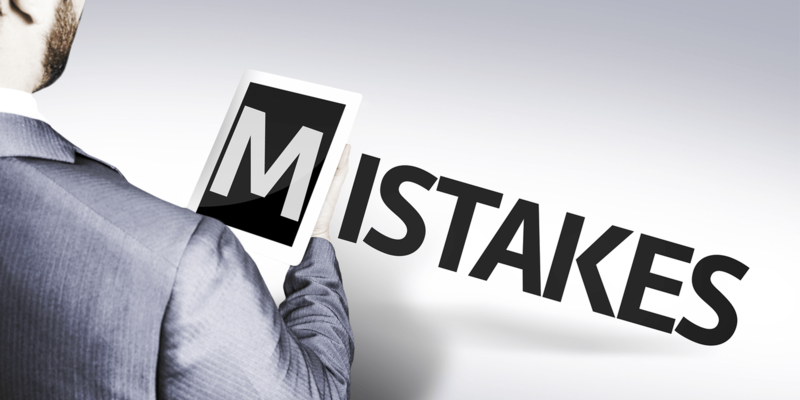 Point out the mistake to the hiring manager and risk drawing attention to it? Let it go and hope for the best? How bad is the mistake? A grammar error certainly won’t earn a candidate any points, but it definitely does not hold the same danger as something such as putting in the wrong graduation year. Since employers oftentimes skim during the early stages of the hiring process, a typo might not even get noticed. Letting it go may prove the best solution. An incorrect telephone number, however, spells disaster and demands rectification. Consider how the mistake affects candidacy. An employer may frown at a misspelled wword on an application for a restaurant manager position but overlook it because the person has a wealth of industry experience and superior customer service skills. A job seeker looking to secure work as an editor may not be so lucky and be better off admitting the error, which at least shows dedication to getting things right. Finally, consider what actions would be necessary to “solve” the problem. If you applied online, the employer’s applicant tracking software might allow you to log in and upload an updated resume. The beauty here is that you don’t have to point out why you’re submitting a new version, and chances are the old file simply gets deleted. Unfortunately, not all cases resolve so simply. Made a factual error deemed not significant enough to warrant resubmission but still worth correcting at some point? Bring it up at the interview. Yes, owning up to an error can feel a bit uncomfortable. However, it also demonstrates honesty and conscientiousness—two great qualities for any prospective employee!